The mission of Healthy Hearing is to improve the quality of life for people with hearing loss by providing education about hearing loss and its implications and treatment options. Healthy Hearing’s directory of consumer-reviewed clinics across the U.S. connects people who are ready to get help for their hearing to qualified local hearing care professionals. If you are just getting started, visit our Hearing Help pages for basic information about hearing loss, hearing aids, tinnitus and assistive listening devices. You may also download our free consumer guides. Science and technology are always moving forward and changing. Healthy Hearing provides comprehensive coverage of this information through The Healthy Hearing Report, a collection of timely news stories, articles and interviews. The Report has earned Digital Health Awards for the past four years running, including silver awards in 2017 for a survey we conducted about unexpected hearing hazards and in 2018 for our article about hearing aid research using spider silk. The Digital Health Awards are organized by the Health Information Resource Center, a national clearinghouse for professionals who work in consumer fields. Be part of the conversation on social media and connect with us on Facebook, Twitter, LinkedIn and Pinterest. Finally, when you or someone you love needs hearing healthcare, use our Find a clinic section to get the help you need. Our news and articles are regularly endorsed and used by thousands of hearing health practices around the U.S. and Canada. Healthy Hearing has a dedicated team which produces, reviews and edits original content for our site. Dr. Paul Dybala is the President of Healthy Hearing. He is one of the field of Audiology’s internet pioneers, setting up and running some of the seminal websites in the field. 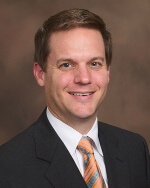 He earned his PhD in audiology from the University of Texas at Dallas - Callier Center and worked there as a clinical audiologist, fitting children and adults with hearing aids. Paul has also been the President and Editor-In-Chief of AudiologyOnline. 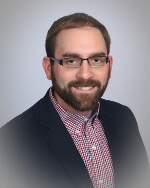 In his current role, he uses his audiology, online publishing, search marketing and management background to provide overall direction and vision for the Healthy Hearing website. Paul makes his home in Dallas, Texas, with his wife and four children. He is a dedicated fan of Asian food and one of his favorite activities is taking long rides on his bicycle. 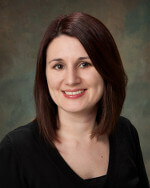 Dr. Mandy Mroz is the director of Healthy Hearing. As an audiologist, her previous experience includes hearing research, customer service and training. She earned her bachelor's degree from the University of Northern Iowa, her master's degree from The University of Memphis and her doctorate in audiology from the University of Florida. Mandy’s dedication to serving people with hearing loss guides her as she oversees the ongoing projects and daily operations of Healthy Hearing, keeping everyone on track. She lives in Red Wing, Minnesota, with her husband, her daughter and their prolific vegetable garden. In addition to gardening, Mandy enjoys cooking, reading, exploring nature and traveling. Susanne Jones is the customer support manager for Healthy Hearing. She previously oversaw a hearing clinic for a major hearing instrument manufacturer. 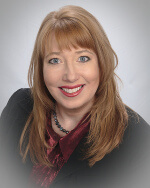 Susanne earned her bachelor’s degree in communication from Bradley University and is a licensed hearing instrument specialist who is Board Certified in Hearing Instrument Sciences. Because she has hearing loss and is a long-time hearing aid user herself, Susanne understands the challenges of hearing impairment and knows the benefits of modern hearing technology firsthand. She loves knowing the work she does every day helps hearing care practitioners all over the country provide quality care to people with hearing loss. Susanne resides in Roscoe, Illinois, with her husband and two children. Outside of the office, she enjoys sports, mid-century modern architecture and design, cooking and visiting wineries. Jennifer Dahmer is the customer support specialist for Healthy Hearing. As a licensed Hearing Instrument Specialist, Jennifer knows the impact of helping the hearing impaired. 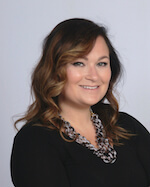 She earned her bachelor’s degree in journalism from the University of Wisconsin - Madison and has spent her career in healthcare sales and marketing. 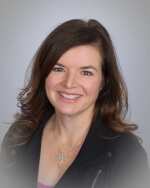 At Healthy Hearing, she prides herself on delivering excellent support to providers and patients alike, diligently working to connect people with hearing loss to professionals dedicated to improving lives through hearing healthcare. Jennifer lives with her husband and three children outside of Milwaukee, Wisconsin, and enjoys homesteading hobbies including raising goats, chickens, ducks and dogs. Joy Victory is the managing editor of Healthy Hearing, which she strives to make engaging and accessible to the public. She has nearly two decades of experience as an editor and digital strategist, with a focus on health information and medical research. She earned her bachelor’s degree in journalism and mass communication from New Mexico State University. Joy lives in Austin, Texas, with her husband, daughter and cat. She enjoys spending time outdoors, exploring Austin’s live music scene, and shelling whenever she can get to the beach. 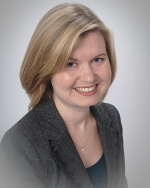 Stephanie Meyers is the search engine optimization (SEO) specialist for Healthy Hearing. Her work makes it easy for consumers searching for hearing help online to find Healthy Hearing. Throughout her marketing career, Stephanie has worked with agencies who have served clients in many different industries including the hospitality and healthcare businesses. As part of the Healthy Hearing team, she is proud to work for a company that helps educate people and improves their lives every day. Stephanie lives in Portland, Connecticut, with her husband and two cats. In her spare time, she enjoys cooking and traveling anywhere she can. Becky Lemons is a senior developer for Healthy Hearing. 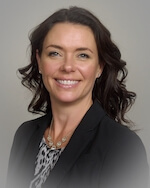 She earned her master's degree in medical engineering from The University of Washington and has over 15 years of experience in web and software development in the medical device and healthcare industries. At Healthy Hearing, Becky is responsible for all phases of design, development, testing and database management. She feels fortunate to be able to use her skills to help people with hearing loss receive quality care. Becky lives in Wenatchee, Washington, with her husband and two daughters. She enjoys camping, boating, snowboarding and playing fantasy football. Dr. Bill Talkington is a junior developer for Healthy Hearing. He earned his PhD in neuroscience from West Virginia University, where he studied vocalization processing in the human auditory system with functional MRI and EEG. After transitioning from academic research into a career in web development, he feels fortunate to work for a company that not only combines these two interests but one that aims to educate and help people achieve their best hearing health. Bill lives in Uniontown, Pennsylvania, with his wife and two daughters. In his spare time, he enjoys playing guitar, woodworking, biking, gardening and volunteering in his community. Brian Gordon is the front-end developer for Healthy Hearing. He earned a bachelor’s degree in sociology from California State University-San Bernardino. For the past several years, he has worked with digital marketing companies to build web pages and campaigns for dozens of clients across multiple fields. Brian’s focus for Healthy Hearing is on building and improving user experiences to help connect people with clinicians as easily as possible. Brian lives in Glendora, California, though he likes to travel far away from home as much as possible. He spends his free time swimming, body surfing, watching terrible movies and learning how to build his own video games. 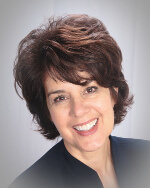 Debbie Clason is a staff writer for Healthy Hearing and has more than 30 years experience as a journalist, corporate marketing director and freelance writer. Debbie received her bachelor's degree in journalism and master's degree in education from Indiana University. Since then, she's worked as marketing director for a healthcare system and travel company, owned her own public relations firm and written for financial institutions, real estate developers, physicians, pharmacists and nonprofit organizations. She and her youngest daughter, Kristen, have written a series of children's books based on the life of one of the family's rescued dogs called The Adventures of Daisy Ray. The (very proud) mother of three grown children lives in Scottsdale, Arizona. Her hobbies include hiking, playing classical guitar and traveling. We encourage and welcome your input so we can continue to improve this process and help others. If you have any feedback, please feel free to contact us using our online form or give us a call at (800) 567-1692. Thanks for visiting and we sincerely wish you Healthy Hearing!